The Gene Hart Memorial Award winner, Sean Couturier, currently plays for the Philadelphia Flyers in the NHL alongside the players like Radko Gudas and Wayne Simmonds. 25-year-old Canadain-American professional ice hockey player, Couturier with his professional career of 7 years is blessed with massive salary and earnings as well. 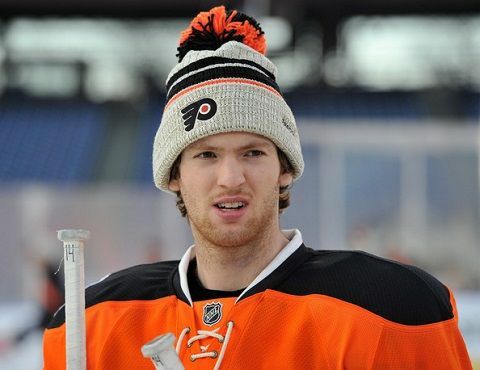 Currently, Sean Couturier is estimated to be enjoying the net worth of $4 million. So, how much salary does he earns? Let's know all about Sean Couturier's salary, contract and net worth along with his professional career journey. Before being drafted by the Philadelphia Flyers in the 2011 NHL Entry Draft, Couturier initially played in the SMHL and QMJHL during his high school and college days. And till date, he is playing for the team. Soon after the draft, Sean Couturier signed his first professional NHL contract worth $4.125 million for 3 years with the Flyers on September 26, 2011. In his debut season of 2011-2012, he earned the annual salary of $832,5000 with a yearly paid signing bonus of $92,500. Later on July 20, 2013, Couturier signed a new 2-year contract extension worth $3.5 million earning him the average annual salary of $1.75 million. Then again on July 28, 2015, Sean Couturier was offered a 6-year contract worth $26 million including a signing bonus of $1 million. As reported, he earned the annual salary of $3 million in 2017 season, and for the 2018 season, he will earn $3.25 million with a signing bonus of $1 million. Well, now it's time to take a look at Sean Couturier's career earnings with Philadelphia Flyers. Reportedly, Sean Couturier's earning with 7 seasons in the NHL is reported to be $13,733,963. And as of 2018, his net worth is reported to be $4 million. 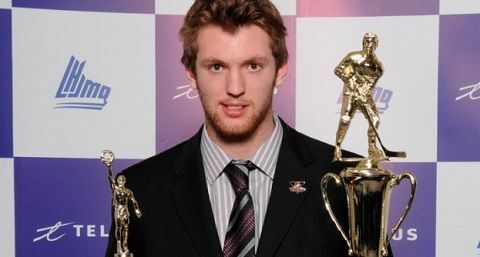 The Bathurst's minor hockey player, Sean Couturier, after being picked by the Moncton Wildcats in 2008 QMJHL draft played alongside defenseman Brandon Gormley. While playing in the QMJHL till 2010, Couturier also played for the Canada Atlantic U-17 and also was named to QMHJL First All-Star team alongside the hands over Michel Briere Memorial Trophy and Mike Bossy Trophy. Then in 2011, he was drafted eighth overall by the Philadelphia Flyers in the 2011 NHL Entry Draft, which followed his naming in the 2011 World Junior Championships, held in Buffalo, New York. Often compared with Hockey Hall of Famer Ron Francis, Couturier also played for Canada's gold medal-winning team at the 2015 World Championships. Really, hard work pays off! Let's wish best for further.